Throughout its colourful history, the UAE has been exposed to a rich variety of races, religions and nationalities through trade and migration. While many of these people brought new spices, foods, and ways of cooking to the UAE, the country still proudly retains plenty of its traditional dishes. One of the best ways to experience another culture is through sampling its cuisine and taking part in its dining rituals. If you’re visiting the UAE, you’ll likely come across some of these dishes, and take part in the customs that surround them. 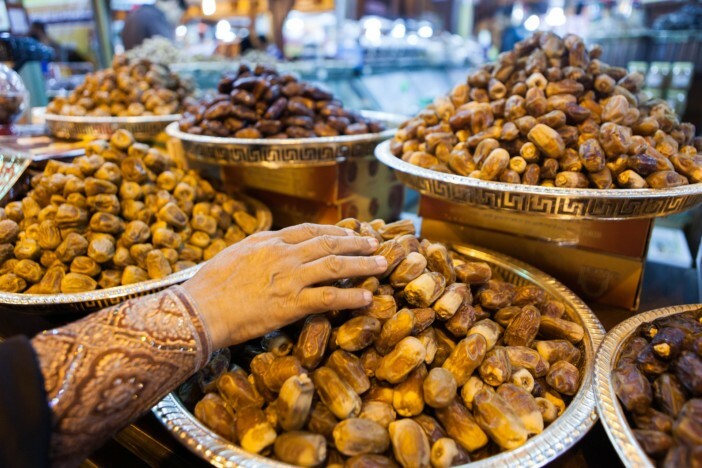 Dates play a huge role in Emirati cuisine. They’re a diet staple, and are traditionally served at the start of a meal. Date syrup is also served with breads for breakfast, and with ligamat – deep fried pancake batter rolled in sesame seeds – as a dessert. Dates make up 60% of the UAE’s fruit and vegetable trade. Date palm leaves are also widely used. Muslims are forbidden to eat pork, so most meat dishes will either be made with beef, lamb, mutton or goat. Camel is also eaten in the UAE, but camels are prized as mounts and for their milk, so camel meat is considered a delicacy, and only prepared on special occasions. Pork alternatives may be served in hotels, such as beef sausages and venison rashers. A curry-like dish made with either meat, chicken or fish. Rice is seasoned with cardamom, cloves, turmeric, cinnamon, lemon, yellow raisins and lentils. This dish will vary depending on the preferences of the chef, and each family will have their own way of making it, using their own variety of spices. It might contain cumin, paprika, ginger and coriander too. A layered dish of meat, rice and fried vegetables, it is usually served with yoghurt or an Arab salad of diced tomato, cucumber, parsley, and lemon juice. Maqluba is a traditional Arab dish that translates literally to mean “upside down”. This is because the dish is flipped upside down upon serving, so that the layer of tomato on the bottom is revealed on top. This dish is popular across the Middle East, and takes many different names. An entire lamb or goat is marinated with spices such as cumin, coriander, cinnamon and nutmeg before being stuffed with rice and wrapped in date palm leaves. It is cooked in a submerged oven for a minimum of 12 hours to ensure that the meat is tender and juicy. As a coastal country, fish and seafood make up a big part of Emirati cuisine. 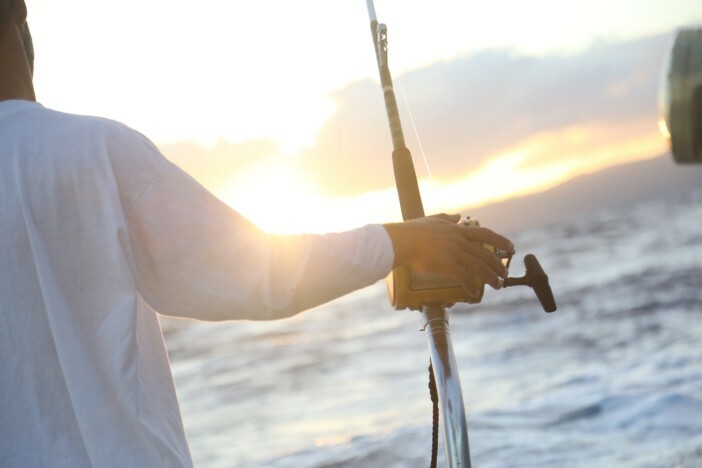 Wherever you sample a fish dish, you can be sure that it will be made with today’s catch fresh off the boat. A fish stew dish made using the entire fish. The fish is cut into slices and then marinated in a spice mix before being fried and finally stewed in a flavourful stock. Usually served on a bed of rice. Small local fish are spiced and fried whole. Served with sweet caramelised onions and sugary rice to create a flavourful blend of savoury and sweet. Most Emiratis do not drink alcohol for religious reasons. While you can find alcoholic drinks in some restaurants, the locals drink tea, coffee and camel milk. 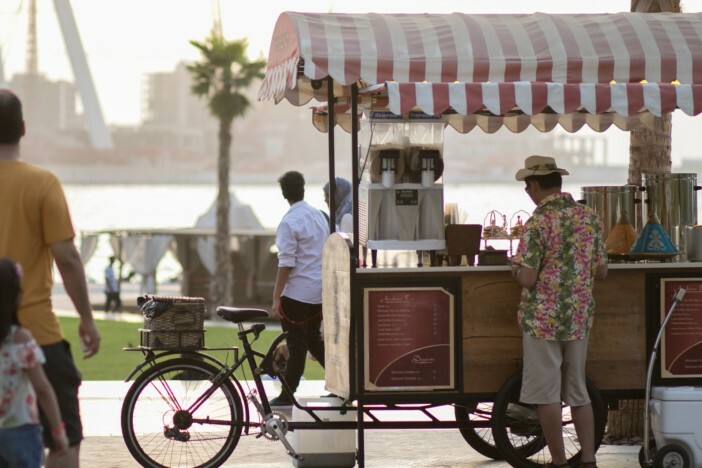 Known locally as ‘Gahuwa Arabia’, coffee is offered to guests as a gesture of hospitality. 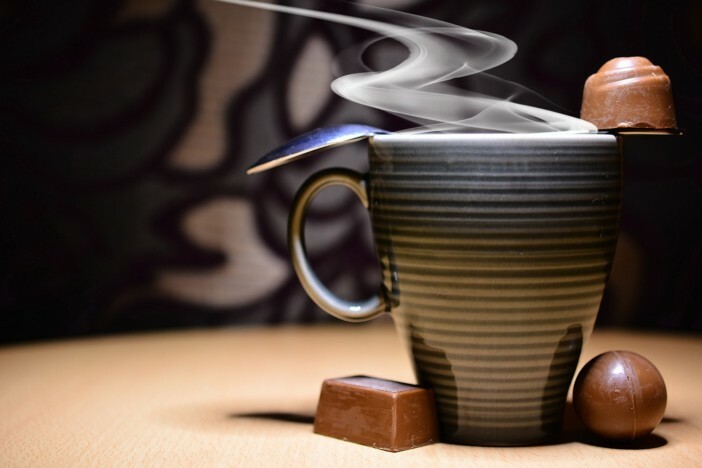 Arabic coffee differs from western coffee as it is often blended with cardamom and saffron to give it a distinct flavour and colour. It is served hot in small cups to ensure that it is the perfect temperature. The tea is also flavoured with cardamom, saffron or mint, and drunk at the end of a meal to aid digestion. Camel dairy farming is an alternative to cow dairy farming in desert regions. It has a much higher nutrient and protein content than cow’s milk, and is believed to have curative powers. If you fancy heading over to the stunning Emirates and sampling the local cuisine, a luxury cruise is the perfect way to get there. Browse the full Cruise1st UK collection online, or call our friendly sales team on 0808 274 6777. A guide to the food of UAE, including local staples and the drinks you'd expect to be served in the most popular restaurants.